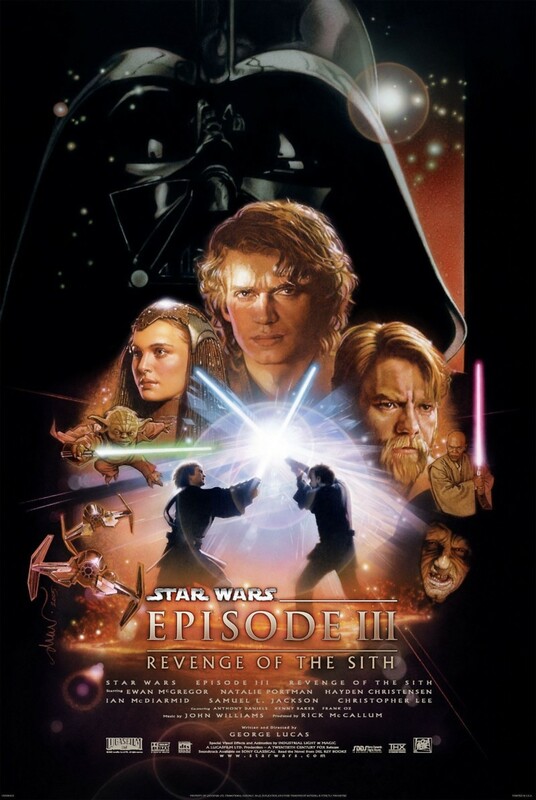 Taking place three years after the events of the previous movie in the franchise, Revenge of the Sith continues the tale of a galaxy at war with itself and illuminates the downfall of governments and the corruption of individuals. The Galactic Empire, current ruling government, is at war with the Confederacy of Independent Systems, a morally corrupt union of capitalists. The Galactic Empire is served and protected by the Jedi Knights, an ancient order whose ability to manipulate "the Force" makes them seem super-human, although they are still erringly human, as demonstrated by the slow descent into evil by once-heroic Jedi Knight Anakin Skywalker. Skywalker's destiny is being shaped by the leader of the Galactic Empire, a man with a hidden agenda who is more than he seems. The orchestrator of an elaborate plot to take control of the once-democratic government and the galaxy at large, he is a master manipulator whose betrayal of those he "serves" is the breaking point in history. Per his orders, a genocide is carried out against the Jedi, turning friend against friend. He seizes control of the government and declares himself Emperor, turning the galaxy into a military state.